John Souttar has dedicated his senior Scotland breakthrough to Craig Levein as he looks forward to returning to work under the recuperated Hearts manager. After a torrid debut in last Friday’s 4-0 friendly defeat by Belgium, Souttar was one of the standout performers for the Scots when they opened their Nations League campaign with a 2-0 win over Albania at Hampden on Monday night. The 21-year-old will return to training at Hearts tomorrow where he can expect a warm greeting from Levein who is now back at work following the recent health scare which saw him spend time in hospital. “I can’t speak highly enough of everything he [Levein] has done for me and everyone around the club,” said Souttar. “He put himself on the line to bring me to Hearts and at times when I wasn’t playing well, he has backed me. He has put a lot of trust in me. I was upset when I heard the news he’d been taken to hospital, it was a massive shock. “He texted me before I made by debut for Scotland on Friday and I’ll be glad to see him at training. Hopefully my two caps for my country will have cheered him up a bit as well and I’m looking forward to seeing him on Thursday. 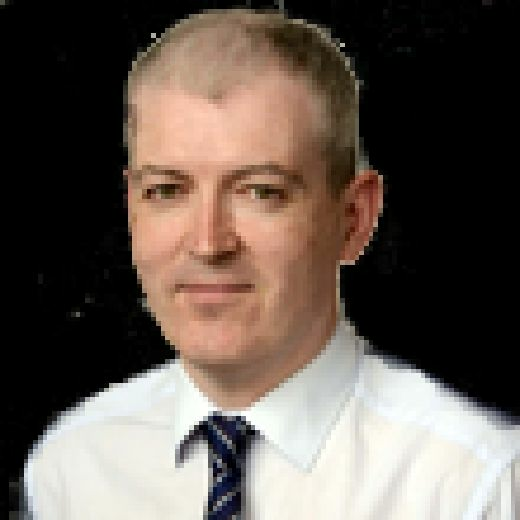 Souttar now looks set to become a mainstay in the three-man central defence Scotland manager Alex McLeish is committed to deploying as he attempts to lead the country to the Euro 2020 finals. The former Dundee United player believes the win over Albania vindicates McLeish’s approach. “After the Belgium game, we said we should be judged on Monday night and we meant it,” said Souttar. “We believe in ourselves, we believe in the manager and how he wants us to play. It helps me, the way the gaffer sets the team up. He wants to play football and it suits me down to a ‘T’. I really enjoyed it. Playing for my country was something I dreamed of when I was a boy. “It’s been quite a long wait for me to get there. Now at 21, I feel like I’m ready to mix it physically and mentally in these sort of fixtures. It is a step up from club football, definitely. In terms of the day to day, we are very professional at Hearts with the way our gaffer works there. Souttar was thrilled by the contribution of his Tynecastle team-mate Steven Naismith who forced the own goal breakthrough against Albania then sealed victory with the eighth goal of his now revitalised Scotland career. “Naisy was unbelievable on Monday,” added Souttar. “For Hearts to have the top goalscorer in the Scotland squad, the main man now, is brilliant. It can only help us at club level. I can’t speak highly enough of him as a professional and as a player, and how much I have learned from him. 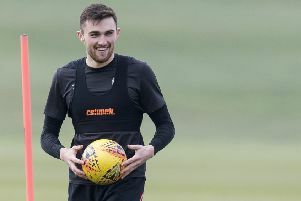 Monday night was also something of a Tannadice reunion for Souttar who was joined in the Scotland line-up by his old Dundee United team-mates Andrew Robertson, Johnny Russell and Stuart Armstrong. He remains hopeful they will eventually be joined in the squad by another of that vintage, Ryan Gauld, who is currently on loan from Sporting Lisbon at Portuguese second tier outfit Farense.